Not much is known about this kingdom of Chi Tu, and even its location is subject to conjecture. 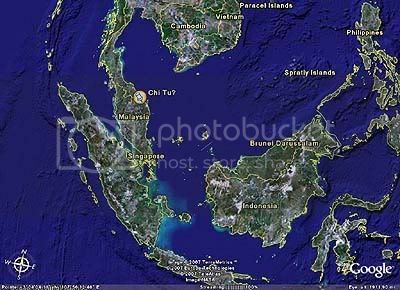 Chi Tu is mentioned in the annals of the Chinese Sui Dynasty (581-618 AD), and from its description the kingdom lay on the eastern side of the Thai-Malay peninsula, anywhere between Songkhla in Thailand down to Pahang in Malaysia. The general consensus is that it lay in the region of Kelantan. The name literally Chi Tu refers to â€˜red earthâ€™, presumably used to describe the kingdom’s terrain. A 5th century Sanskrit inscription found in Kedah also mentions a land called Raktamrtikka, meaning the same red earth, and are both thought to refer to the same place. Fast-forwarding 700 years, the next potential Singapura is said to be in the vicinity of Cirebon, in northern Java during the 14th century. 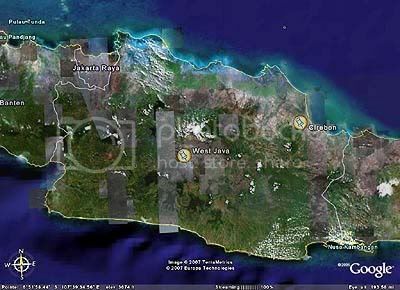 At this time, Cirebon was represented the easternmost boundary of the kingdom of Pajajaran, which was founded in 1333. This Sundanese kingdom controlled much of what was Western and Northern Java during the 14th and 16thcenturies, and was a next-door neighbour to the Majapahit. The Pararaton (the Javanese book of kings describing the rulers of the Majapahit kingdom) mentions an episode about the King of Sunda – equated with Pajajaran – and a botched attempt of a political marriage which led to bloodshed. Could the kingdoms of Chi Tu and Pajajaran both have cities or places named Singapura? We can’t know for sure – for now. But let me say for now that both kingdoms followed a syncretic mix of Hinduism and Buddhism. In Chi Tu, it was noted that the Buddha was worshipped, but Brahmans were held in high regard. Portuguese accounts of Pajajaran in the 16th century noted that the religion was a mix of Hindu and Buddhist. Thus, a locale named “Singha-pura” would not be out of place. It all began when someone posted an obscure 100-year-old newspaper article on the Singapore Heritage email list, about how a member of the Archaeological Society in England pointed out the origins of the name Singapore. Singhapura, or the city of the lion, was obviously one of Indic influence, and also a very powerful name at that: considering lions are only found in the extreme west of India the symbol of the lion must have considerable strength to have travelled all the way to Southeast Asia. Throughout history, there have been more than one place claiming the name of the Lion City, said archaeologist Lim Chen Sian, including Sri Lanka and parts of India. In Southeast Asia, there have been “Singapores”, or more accurately Lion Cities in Vietnam and Indonesia. Probably the first recorded mention -and thus the original – Lion City is Simhapura, in what is today Tra Kieu, Quang Nam province in Vietnam. Simhapura, or the Lion Citadel served as the first capital of the Champa from the 4th to the 9th centuries. The kingdom of Champa – in the sense that kingdom is a loose collective of smaller principalities. Nonetheless, Champa maintained an important role in the trade routes between China, the Malay archipelago and beyond, to India and Persia. Typical of many of the trading communities in Southeast Asia in the first millenium, religion in Champa was mainly Shaivist and later Buddhist. In the 9th century, the new northern state of Dai Viet invaded Quang Nam and occupied it until the end of the 10th century. Not much of Simhapura remains today, save for bits of the wall, some stone banisters and rectangular ramparts. 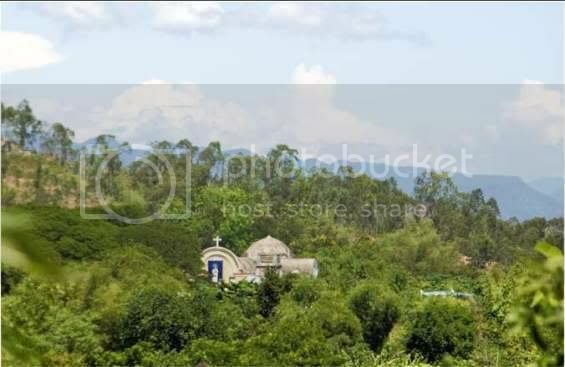 Today, the top of Tra Kieu hill is home to a Catholic Church, first built by the French during their occupation. One can still the ancient city’s outline from the mountain church. The nearby My Son Sanctuary (a UNESCO World Heritage Site) stood as Champaâ€™s intellectual and spiritual capital during the same period – fortunately, that has survived, despite recent bombing by the Americans during the US-Vietnam war. So what other places in Southeast Asia might have claimed the name of Singapura/Singhapura/Simhapura? Part 2 should be out later in the week!